Do you know that each year hundreds of thousands of documents/subscriptions was late for renewal, which results in late penalty or operation disruption? Do you know that at least 5-figure US $ is lost every year for an average grocery store due to the expired products? 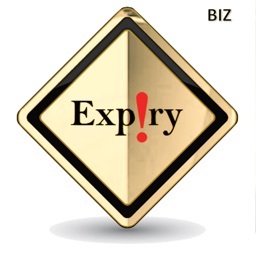 With Expiry Alert Biz (EAB), these will never happen. EAB offers a simple, and effective solution that keeps track of everything that has an expiry date, such as food, medicine, license, subscription, membership, contracts and so on. 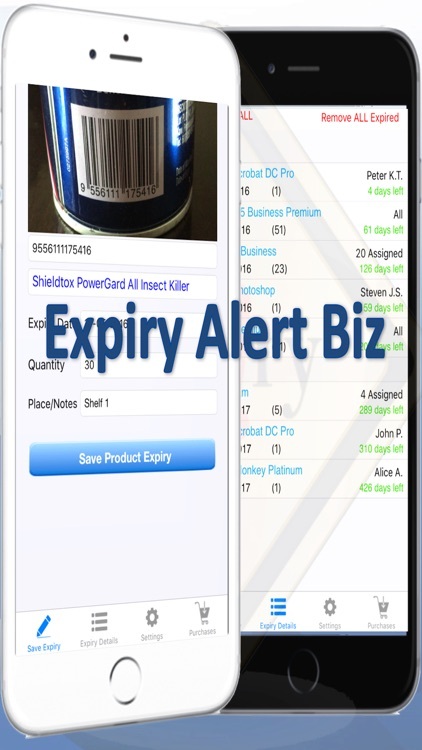 You can easily manage all the expiration dates for your business at your fingertips and get reminded. Never have to worry about missing out the deadline. 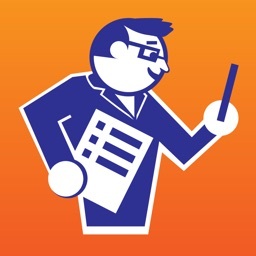 No more tedious data entry. EAB supports CSV file import. You can easily import your data from existing systems like asset management software, inventory management software etc.. With the import feature, all the expiry data in your store/organisation can be populated in seconds with just a few clicks. 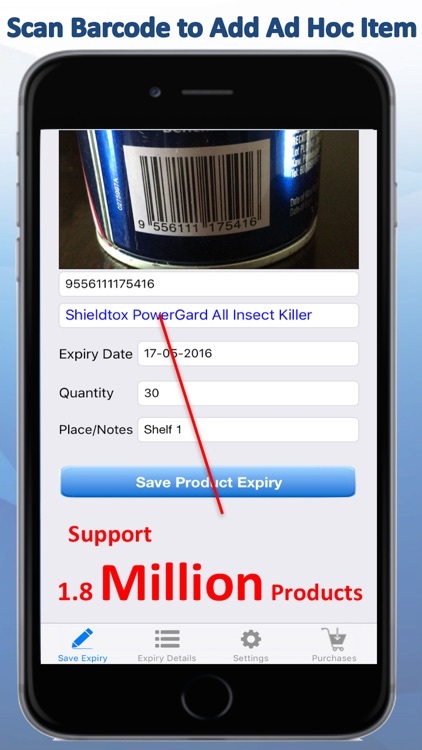 It's recommended to use it to add product expiry info for the first time. Please refer to our website(Import Guide) for the detailed steps. 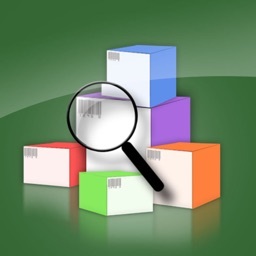 For ad hoc item, you can use EAB to scan the product barcode or UPC code to add data. The product name will be automatically captured to EAB. 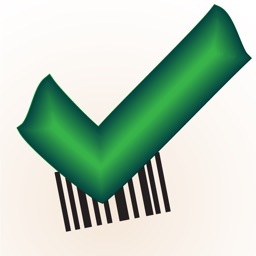 We supports more than 1.8 million product codes. No need Sign-up. No need Internet. Keep you updated at all times. 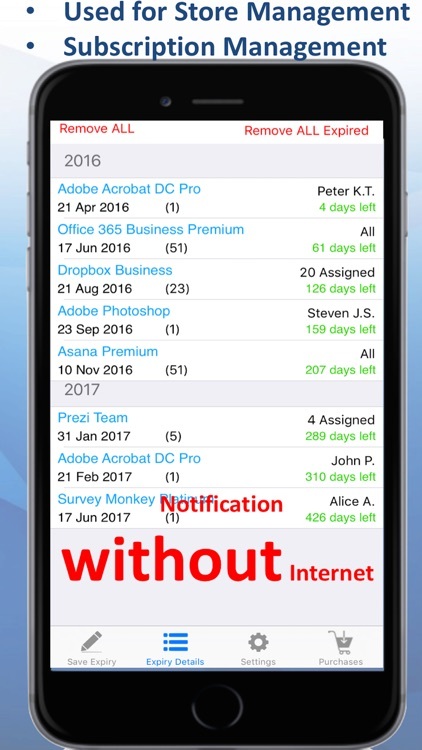 EAB will notify you on your iPad/iPhone/iPod prior to the expiry date according to your requirements, even you are offline. Your expiry list can be exported and shared via Email. Subscribe the yearly package to enjoy unlimited export. 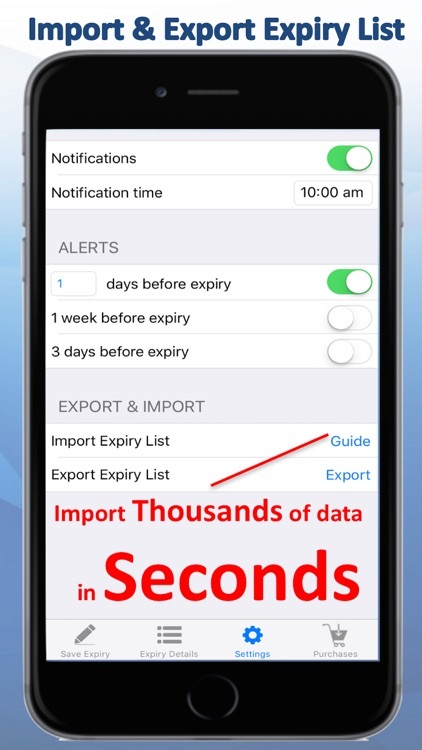 You can choose when to be reminded on expiring items, such as 3 days, a week, or any days(user defined) in advance. 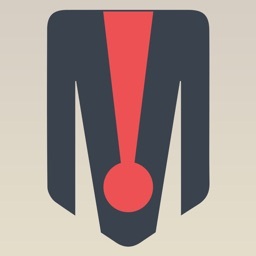 You will be alerted before any of the product, subscription or document is about to expire. It is fully customisable according to your needs. 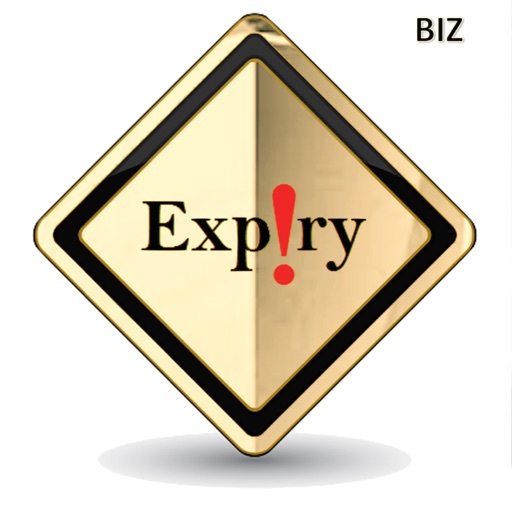 EAB expiry list lets you know when, where and number of products are expiring in store. 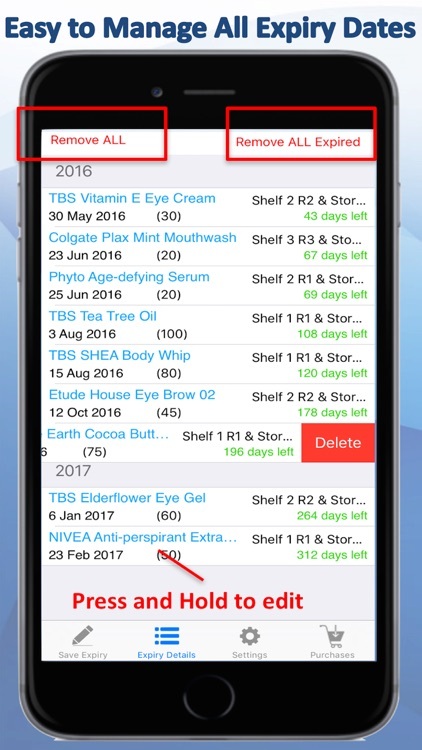 You just need one application to keep track of everything that has an expiry date for your business, such as products, licenses, subscription, contracts and so on. Millions of data can be stored in EAB. Subscribe Yearly package to enjoy unlimited storage. EAB not only can save you lots of money from expired products/late for renewal, but also can reduce the labor for date checking. No more wastage. No more late penalty. -- EAB supports all devices such as: iPad Pro, iPad Air, iPad mini, iPhone 7, 6s, 6s Plus, 6, 6 Plus, 5s and 5, iPod etc.